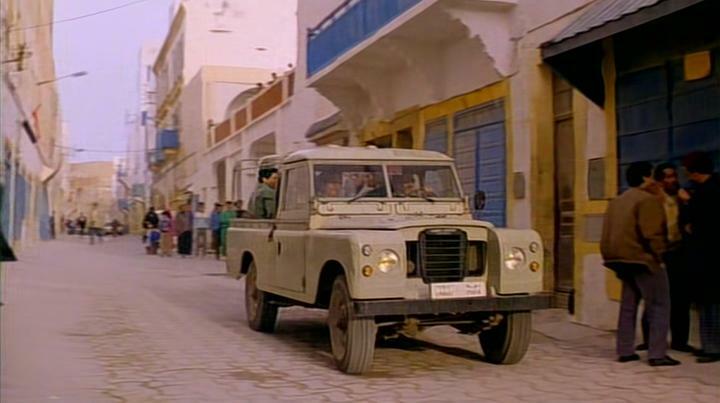 IMCDb.org: Land-Rover 109'' Series III Pickup in "Den demokratiske terroristen, 1992"
Yes, Series III, 109". AFAIK the plastic grille came in with the SIII. 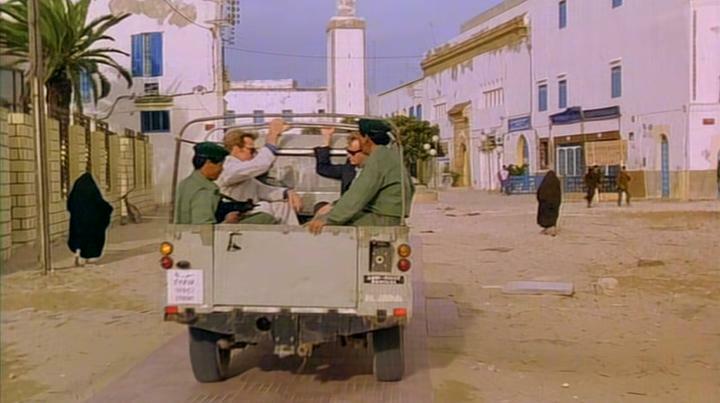 According to the door hinges and the small lamps it is definitely a 109 Series III. The black grille indicates possibly a former military use.